The Company has a large fleet of vehicles and is organised with suitably trained staff to guarantee a personalised and flexible transport service that will satisfy all of its Customers’ requirements. 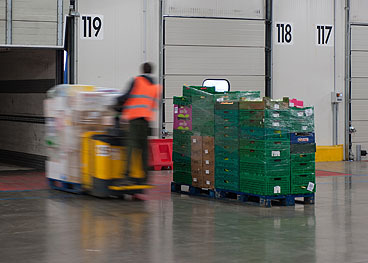 Speed and Efficiency: these are the plus points of the Brivio & Viganò controlled temperature Transport service which can be seen in concrete terms in its punctuality in deliveries and a high level of safety for the goods being transported, thanks to a careful management during the loading, unloading and warehouse operations. This quality is also guaranteed by a Team of direct resources that coordinate and verifies the correct running of the transport service from the distribution centre, to the various Retail Outlets of the various Brands.